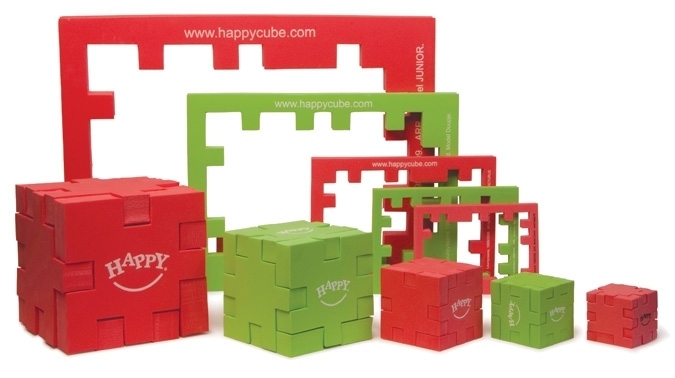 Happy marketing material to boost your business with the use of: foam Happy Cube puzzles printed with your own logo, leaflets, posters, instore video and XL Happy Cubes. Click on the pages below and get inspired with our 'Happy-creative' ideas. More sizes on your request. You can download B2B pictures in the download area. The products are pictured as samples and are not intended to represent an endorsement by individual companies. All the logos shown in this pictures are respective property of the companies which they identify; their use is strictly for demonstrative purposes of imprint size, position and colours available. They are not for resale. Happy Cube puzzles can be used in television commercials, here are some examples for McDonald's and Weetabix.